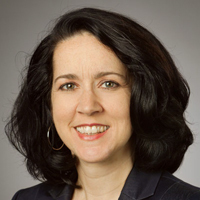 Mary Beth Schmitt, Ph.D., CCC-SLP, joins the faculty in Austin after serving four years on faculty at the Texas Tech University Health Sciences Center. Schmitt investigates child-level and treatment-level aspects of therapy that affect language and literacy outcomes for children with language disorders. Her research is informed from her 11 years serving children with language disorders before earning her Ph.D. from The Ohio State University. She recently received funding through the National Institutes of Health to investigate the effects of a behavior regulation intervention on language and literacy outcomes for kindergarten children with language impairment. Schmitt serves as editor for EBP Briefs, a peer-reviewed publication supporting evidence-based practice for practitioners.